Have you noticed a new face at Coast? We’re pleased to introduce Chef Murray Flaherty! Chef Murray recently came over from our flagship restaurant, Glowbal, but has been part of the Glowbal Group family for over 13 years. 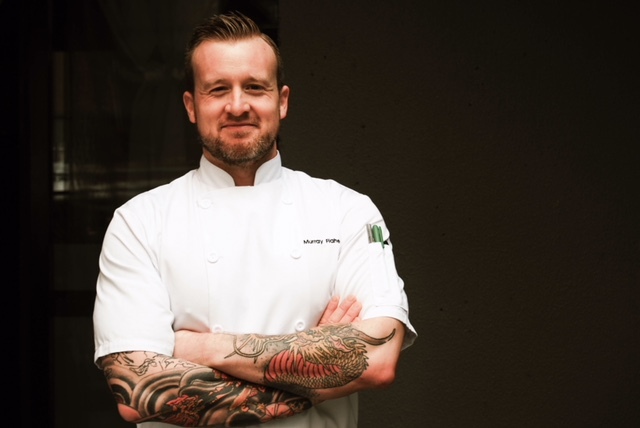 He started at the original Yaletown location of Coast and now he’s back at our Alberni location, bringing his passion for food with mouth-watering features for brunch, lunch and dinner. We had the opportunity to speak with Chef Murray about his love for food. Read on for a closer look into his culinary background and how it has made him the Chef he is today. While I was attending art school as a teenager, I started to work in kitchens. Once I realized that art wasn’t the right path for me, cooking just made sense. I enjoyed the intensity and brisk pace of the kitchen. There is also a strong team aspect, you come together as one. Cooking combined two of my two favourite things while growing up; playing competitive hockey and art. I went to Dubrulle Culinary and also participated in the apprenticeship program at VCC. What other back-of-house positions have you previously held? I have spent three years as a butcher in a restaurant and a hotel. I get asked this a lot but find it hard to answer, it’s hard to narrow down. I would have to say I’m partial to Italian because I love making fresh pasta and gnocchi. I also love making sausages and dry cured meats, which is common in Italian cooking. The culinary world is so fast-paced. What do you bring to the kitchen to keep up with new food trends? I would say a combination of old-school knowledge and techniques with imagination. I’m never afraid to try something I can see in my mind, and with the skills I have developed, it makes it easier to bring these ideas to the plate. As you and Chef Sean Riley have been working closely together, our Features have been mind-blowing! The tastes and flavours are refreshing and exciting. How do you test the quality of your ingredients? Taste, taste, taste! We try everything before we use it. If it’s not up to our standards, it’s not good enough for our customers. We’ve got both a well-established and knowledgeable Front and Back of House Staff. Describe the relationship between the two and how they work together to give customers an amazing experience at Coast. Teamwork, it all comes down to everyone wanting the same goal: to create experiences that leave a lasting memory with our guest. Where do you hope to see Coast in the next year? First and foremost, to be a destination for the best dining experience for every guest. But we also want to create a place for our staff to come to work, learn and grow. The best thing Chef Sean Riley ever taught me, and still continues to teach me is that Cooking is fun.